Detroit garage punk band Tyvek will be in New York for a show at the Silent Barn on Saturday, December 12th. Also on the bill are Home Blitz and The Beets. 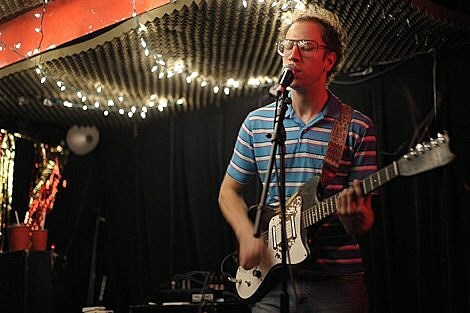 The last time they were in town, in July, Tyvek played a show at Silent Barn and a set at Cake Shop. The Beets have a string of dates coming up including a show with Titus Andronicus at NYU on December 2nd, a set at the Degenerate Craft Fairlaunch party at Silent Barn on December 4th, the Panache & New York Night Train Holiday Party at Glasslands on Dec. 5th (w/ Stalkers, War Party & DJ Jonathan Toubin), and a show at the Brooklyn Tea Party (175 Stockholm St, #303) with The Wowz and Great Lakes on Dec. 11th. Tyvek – Davis House Party: “Nothing Fits” & “Frustration Rock” in Davis. November 2009. At the Bomb Shelter.